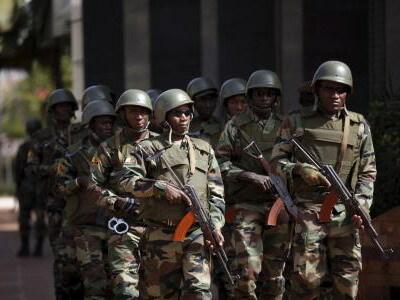 The final death toll from a weekend attack by suspected jihadists on a Malian army base was 23 soldiers, the army said in a statement. Gunmen attacked and briefly seized a Malian army base on Sunday in Dioura village, central Mopti region, with initial estimates of the death toll at 16. “You are not alone. All peace loving Malians support you,” Defence Minister Tiemoko Sangare was quoted as saying while addressing Malian troops on a visit to Dioura. “Do not listen to the siren songs whose sole purpose is to destabilise the country,” he added. Violence by jihadist groups worsened almost every year since it first exploded in Mali in 2012, when Islamists and allied Tuareg rebels took over the north and advanced towards Bamako. A French-led intervention pushed them back the following year.